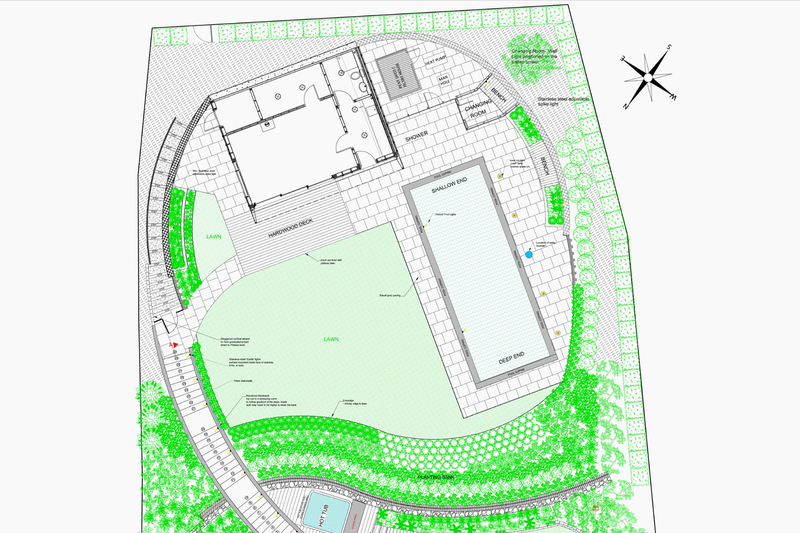 The prospect of sculpting a contemporary garden, complete with garden room, swimming pool, hot tub and infinity lawn, from a wild wooded bank required a great deal of vision from all involved, not least of all from our client. 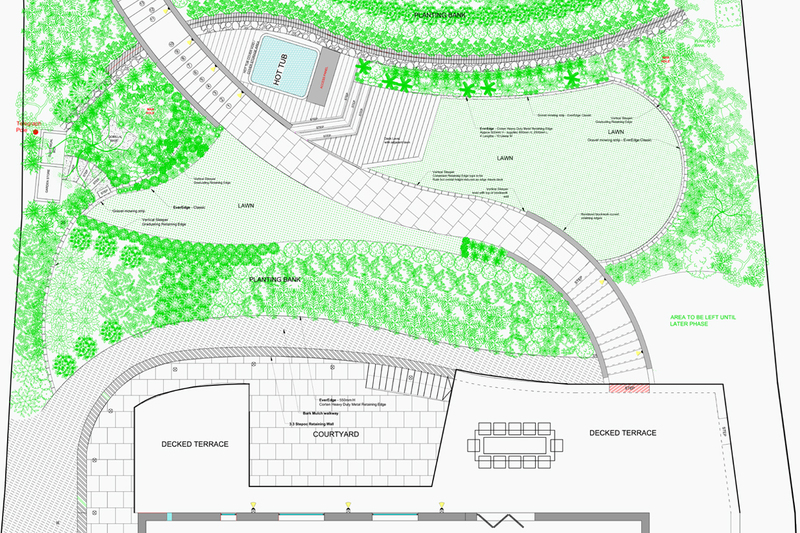 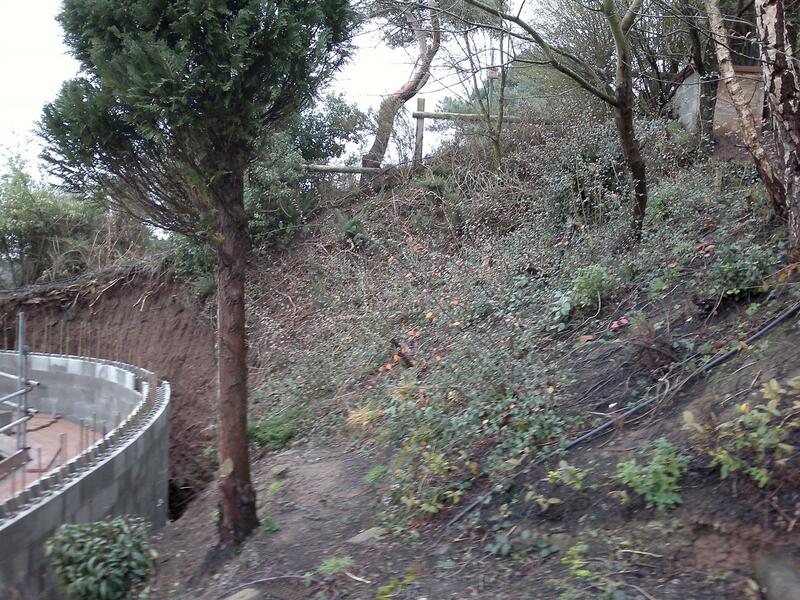 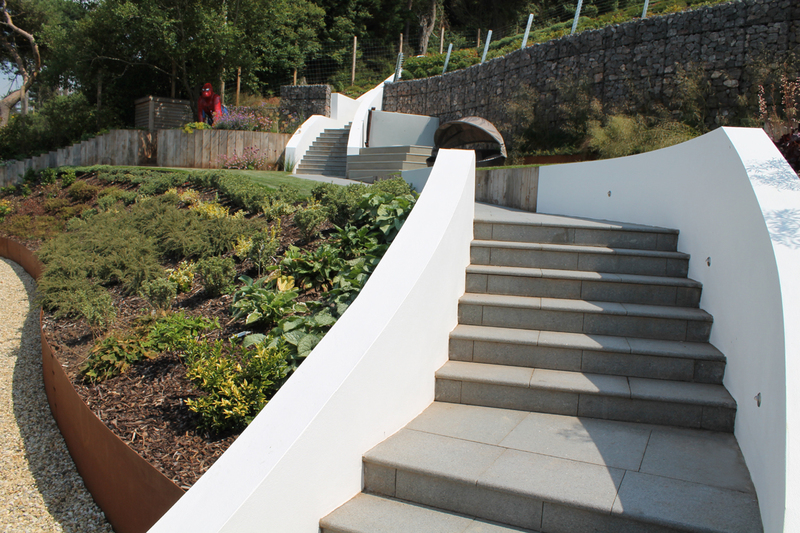 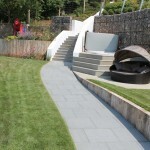 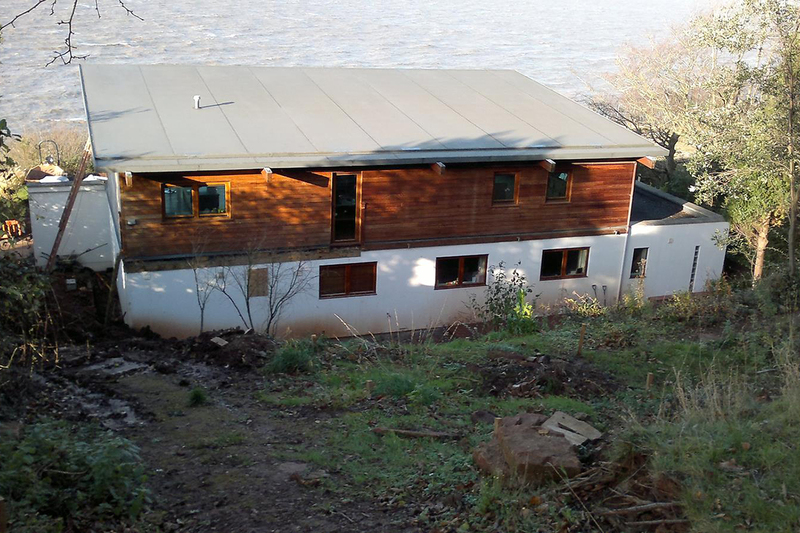 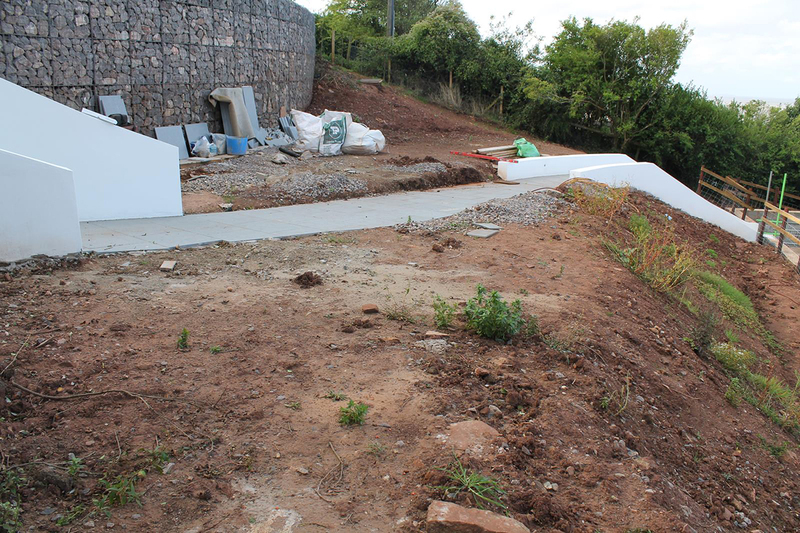 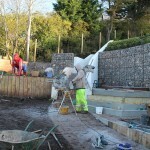 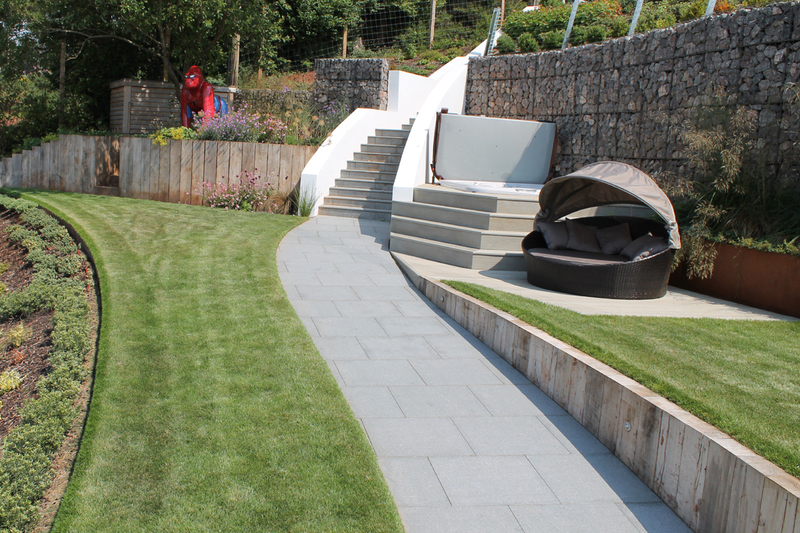 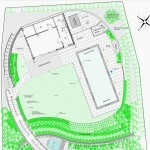 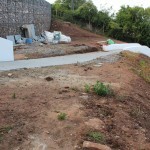 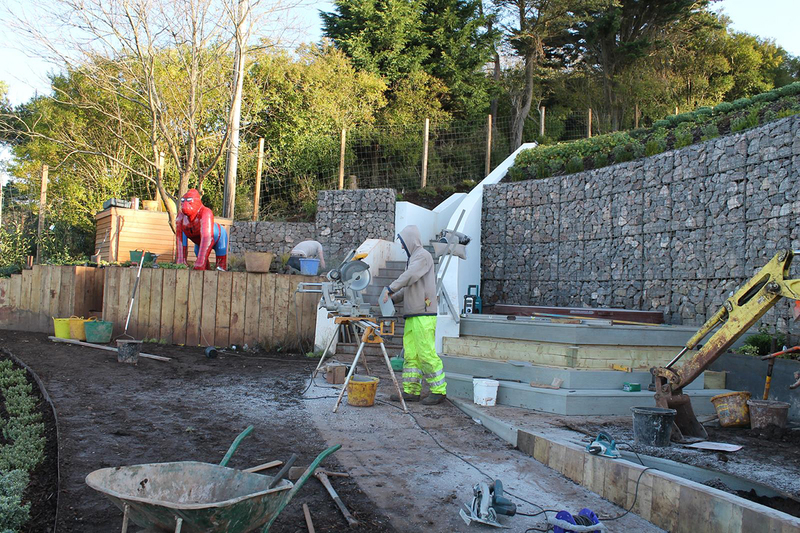 This very ambitious project involved huge earth works and the building of three enormous retaining walls, each over three metres high as well as two sweeping curved stairways and paths to access all the completed areas. 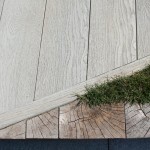 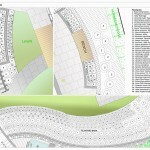 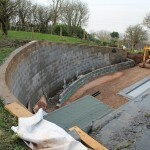 The result is truly stunning and almost unimaginable from the initial site photos. 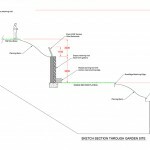 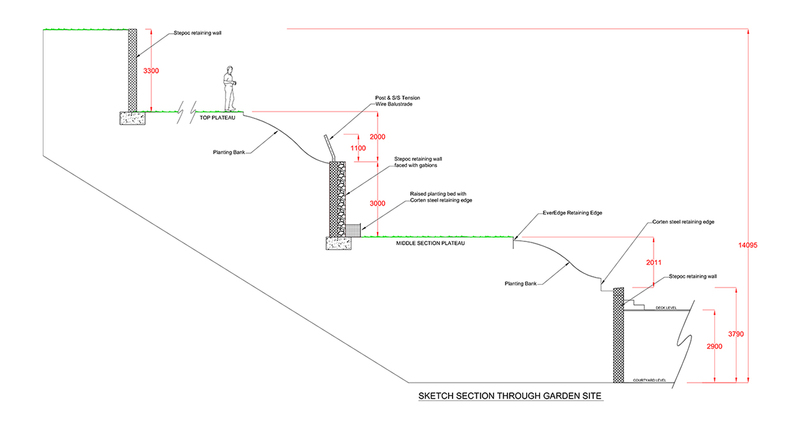 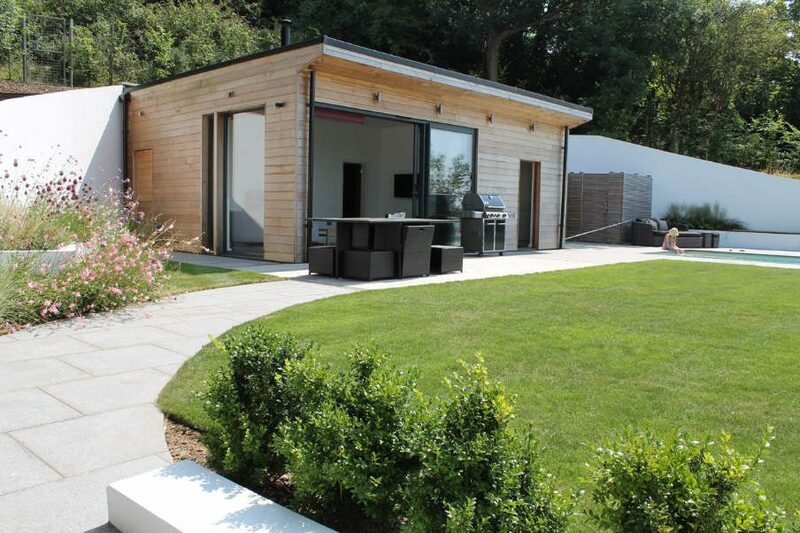 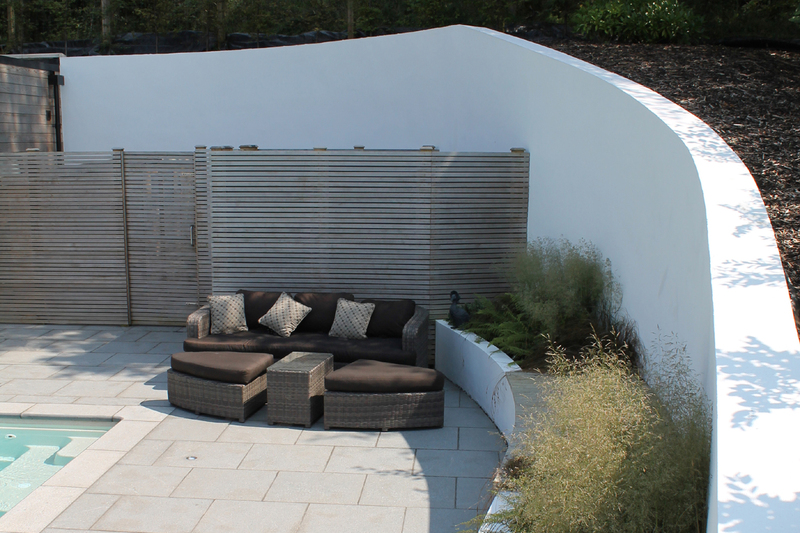 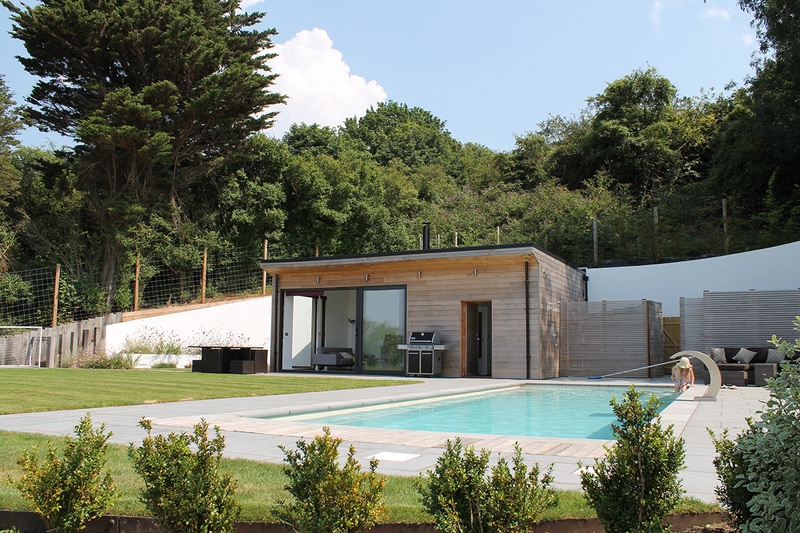 The project took over three years to realise from initial concept sketches and now provides an accessible, versatile family garden with breathtaking views over the Bristol Channel. 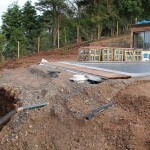 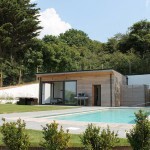 The garden room and pool occupy the top plateau which is formed by cutting back deep into the hillside and projecting the ground forward to form a 25M level plateau. 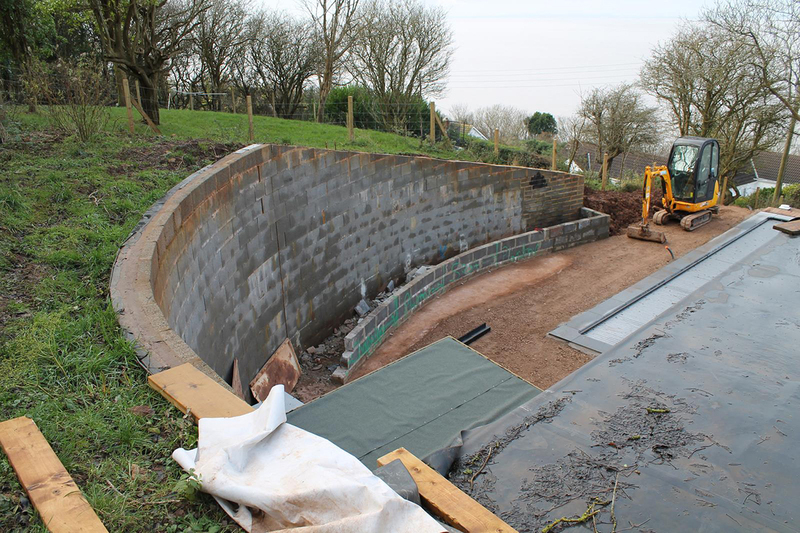 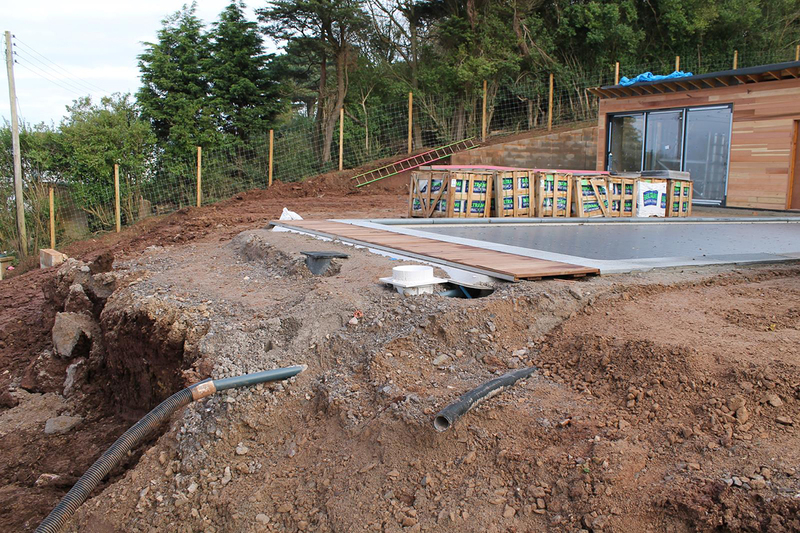 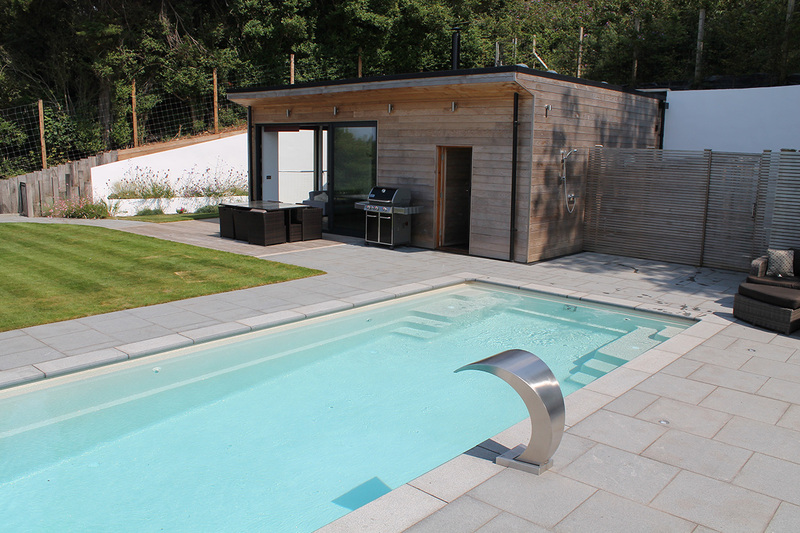 The rectangular swimming pool projects to the front edge of the plateau giving the impression of an infinity edge, whilst retaining enough space for a good size lawn and a decent game of family football. 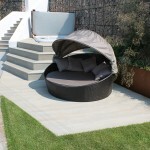 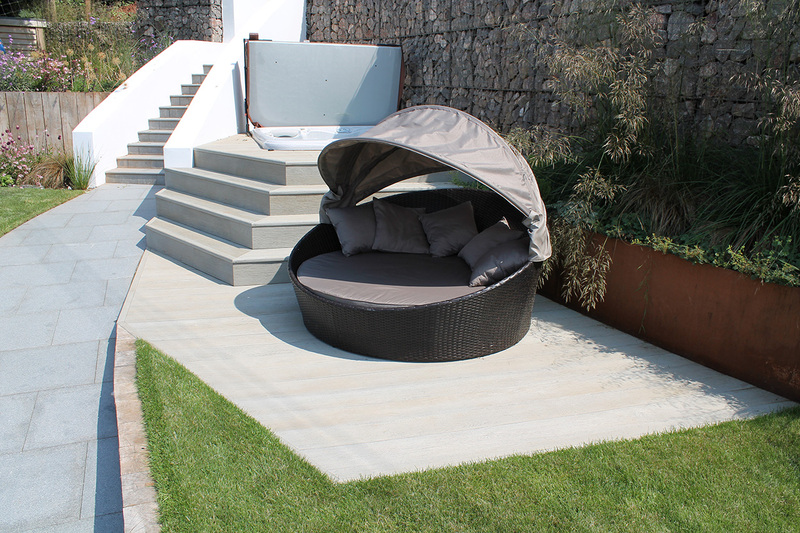 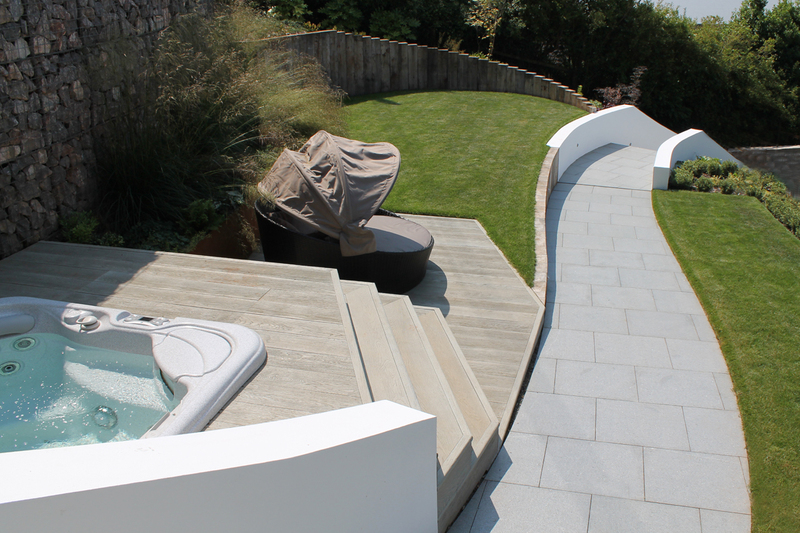 The hot tub nestles in a sheltered niche formed as the curved stairway cuts through the middle retaining wall. 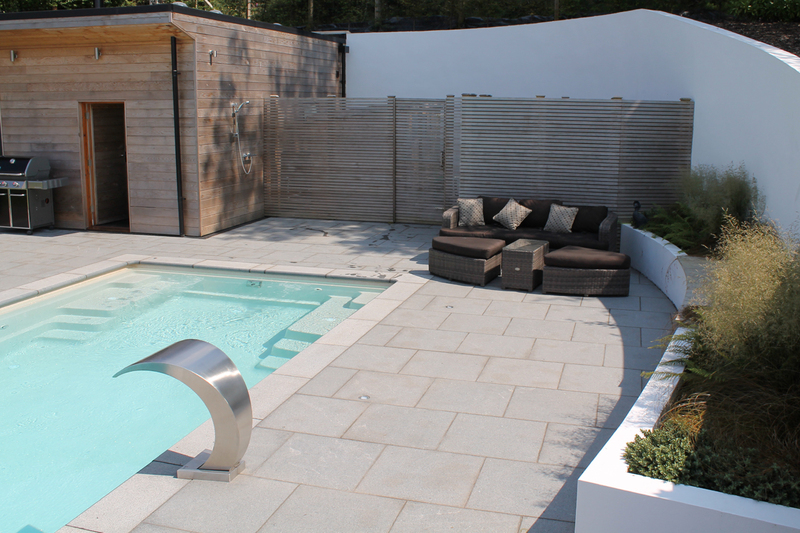 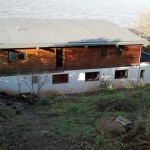 The hot tub is surrounded by a deck with wide steps which double as perches. 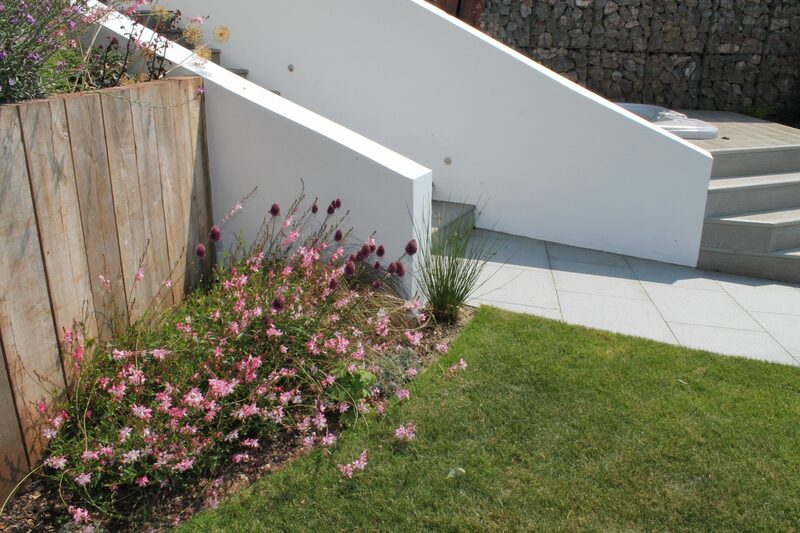 The height the mid retaining wall is softened by raised planting, retained by ribbon of Corten™ steel. 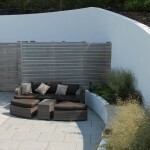 The retaining wall is faced with stone filled gabions and tall grass help to break up the expanse of vertical stone. 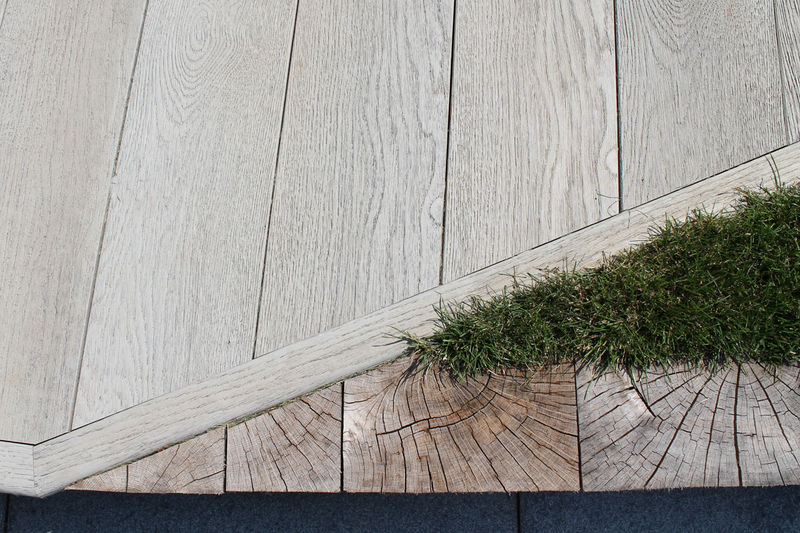 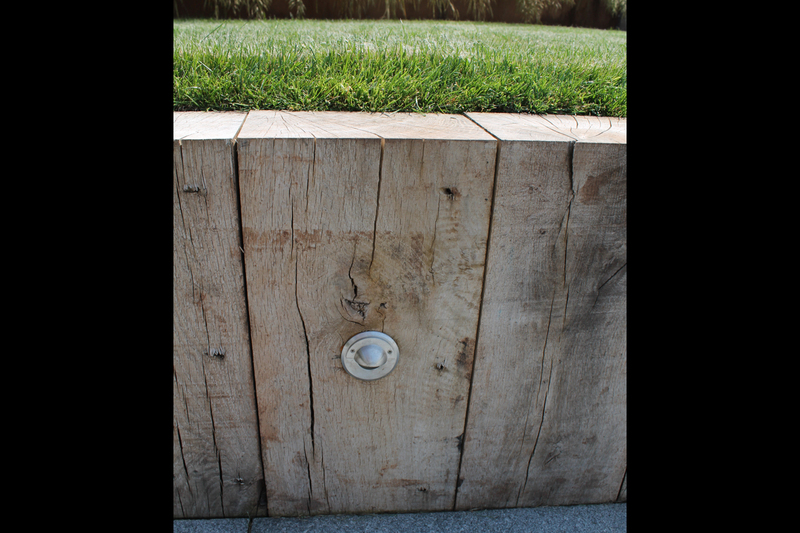 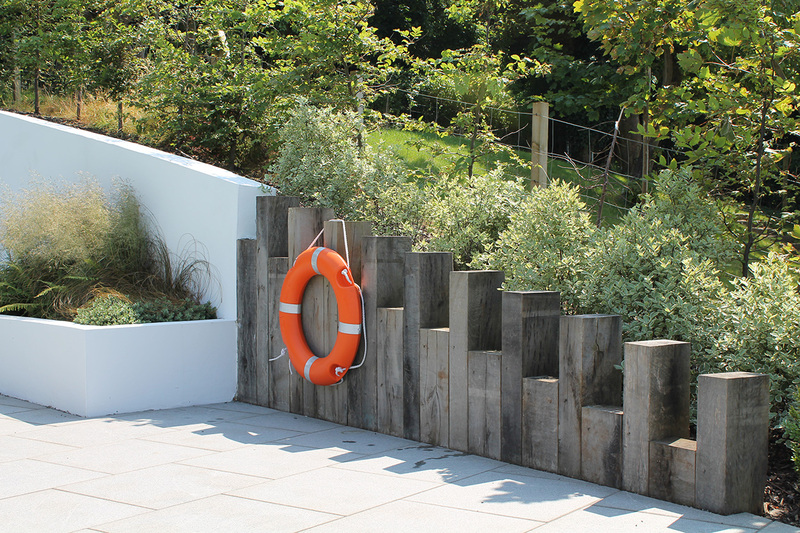 Oak sleepers are used through out the project, set vertically to follow organic curves, retain ground and blend different levels within the garden. 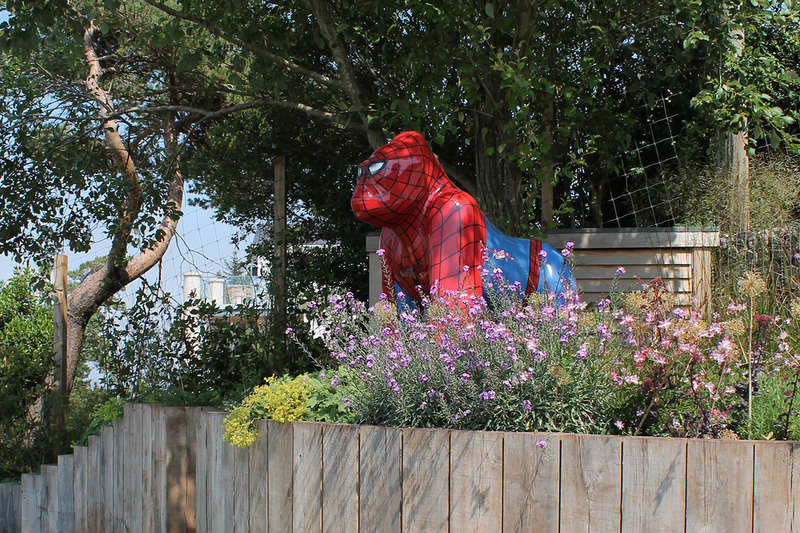 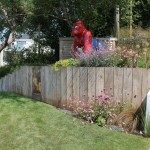 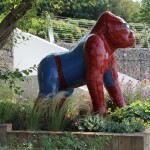 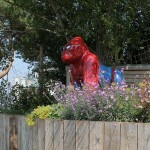 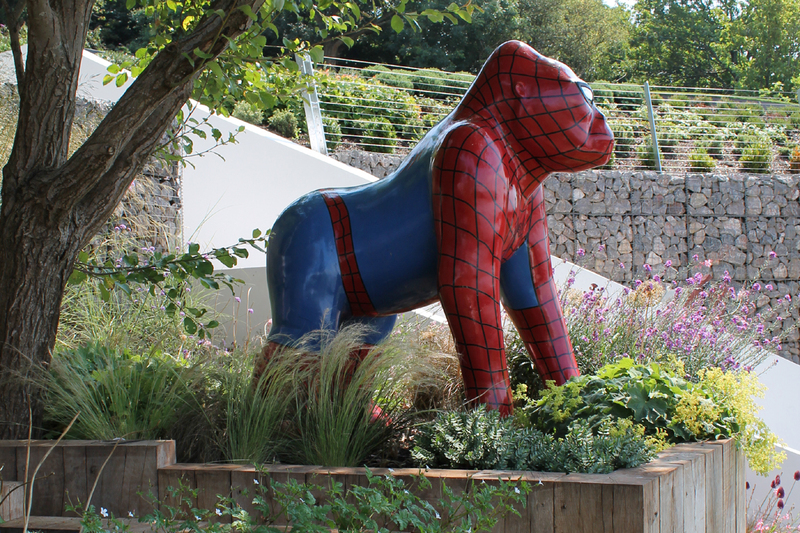 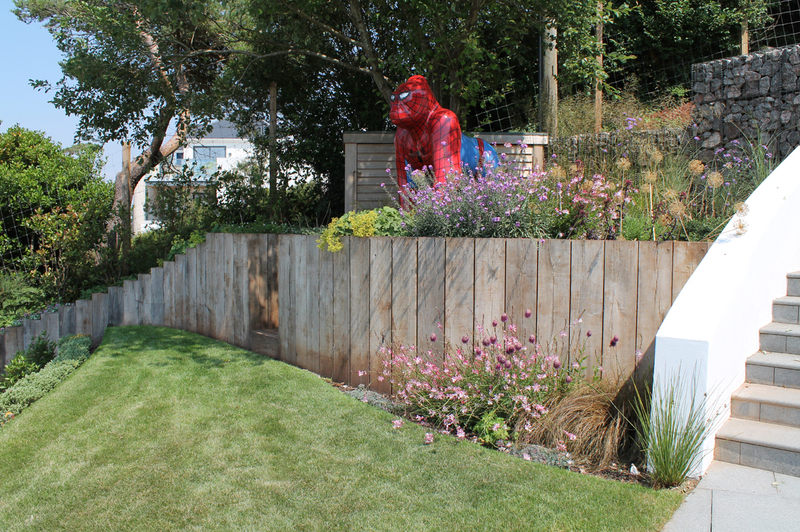 An impressive life sized Gorilla sculpture occupies a commanding position over the middle section of the garden where it can be seen from above and below. 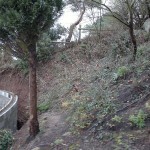 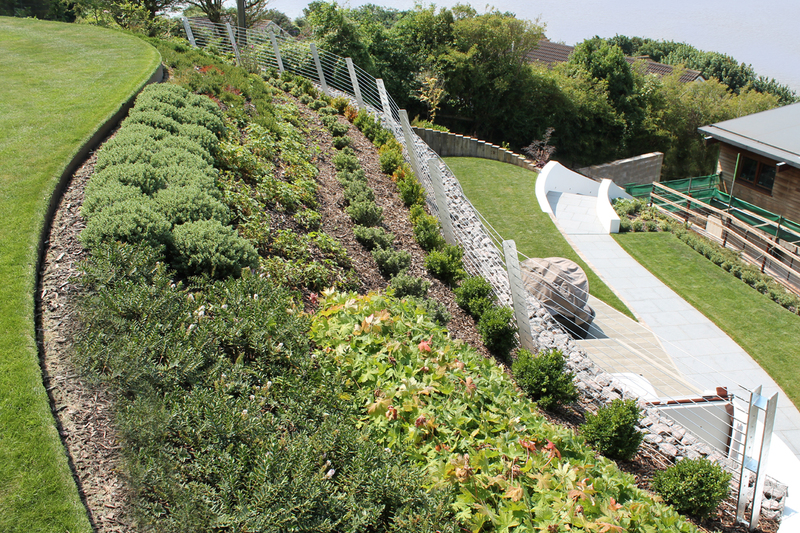 The steep gradient of the site necessitates a low maintenance approach to the planting design; banks are block planted with robust plants which will cope with the coastal conditions and north westerly aspect. 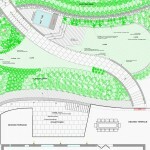 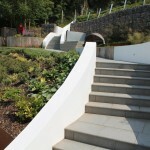 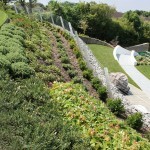 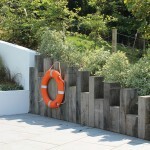 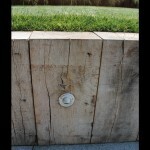 The retaining walls created additional planting challenges casting areas of near perpetual shade. 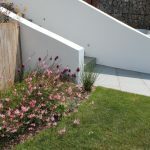 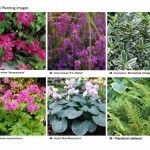 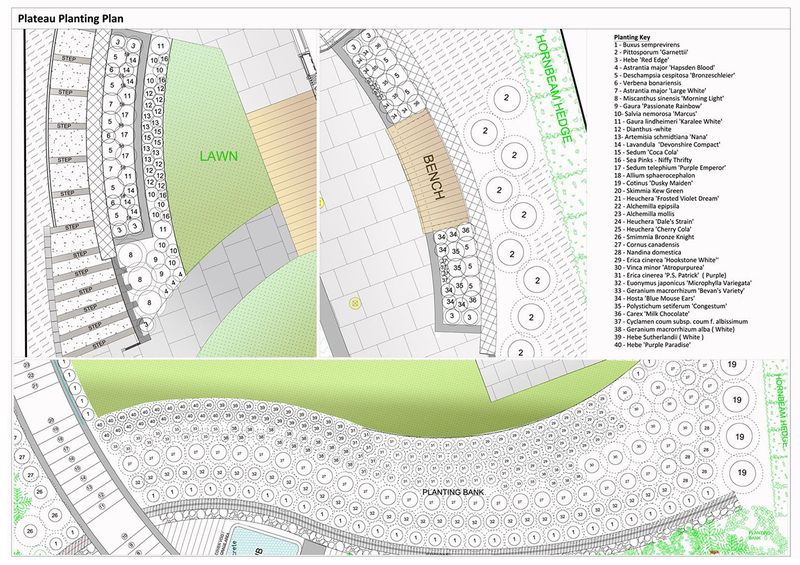 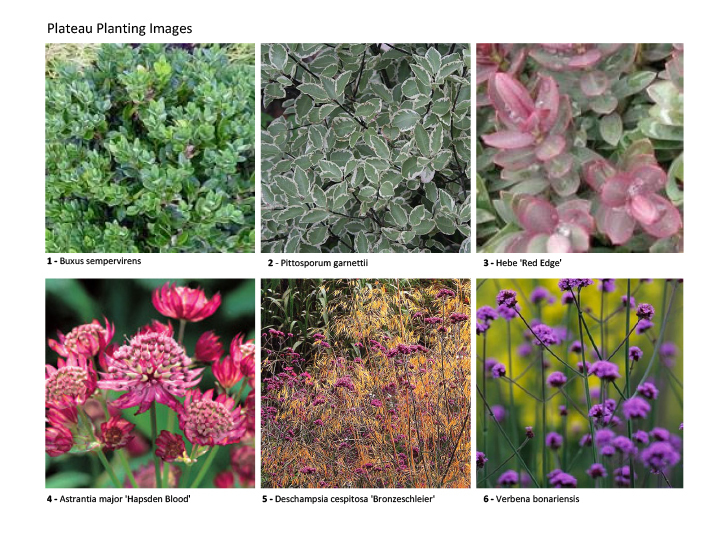 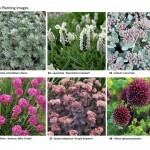 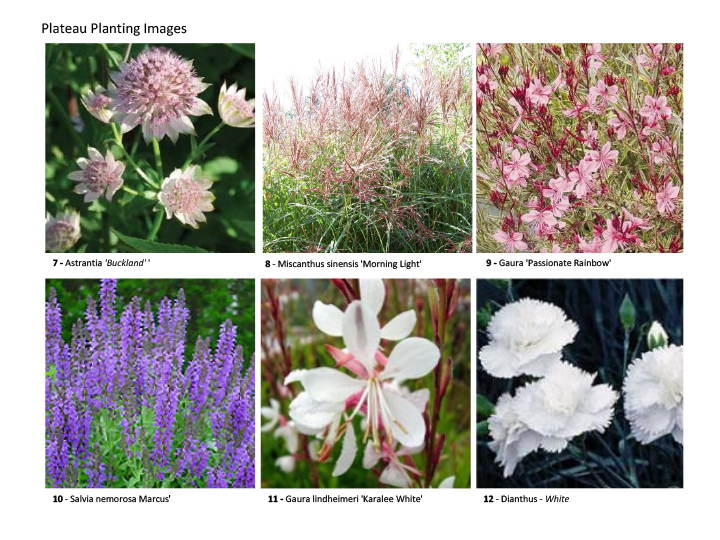 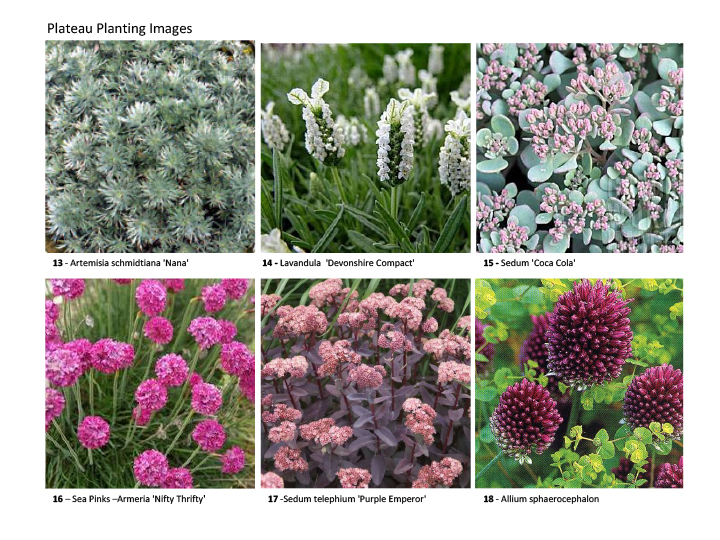 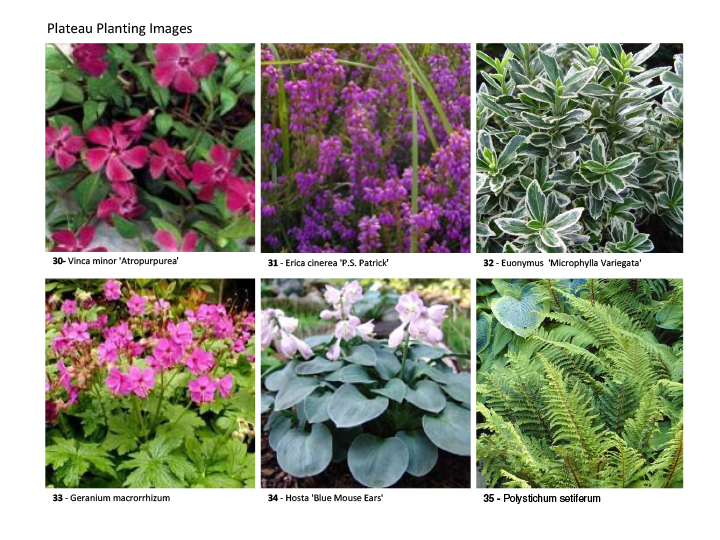 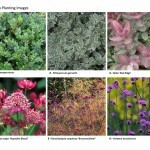 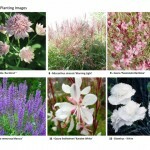 Grasses and seasonal bulbs were interspersed with compact evergreen plants and perennial planting was reserved for the more accessible areas around lawns and terraces.